Legalized, popularized, and full of medicinal benefits, marijuana has slowly monopolized countless facets of our markets, lifestyles, and so much more—and that includes the mental health discussion. And much like any other marijuana-centric discussion, this comes with a slew of opinions, research points, and exciting possibilities. If you’re one of the 16 million adults in the United States who suffer from depression, then you probably have come across the countless conversations around cannabis and depression. We all know the benefits from cannabis: helps relieve pain, aids in sleep, speeds up recovery, boosts your mood, increases energy—the list goes on and on. For depression, the focus is all on CBD oil, the element of cannabis that does not give off the psychoactive effects—no high. But how does it all work? Let’s get into it. 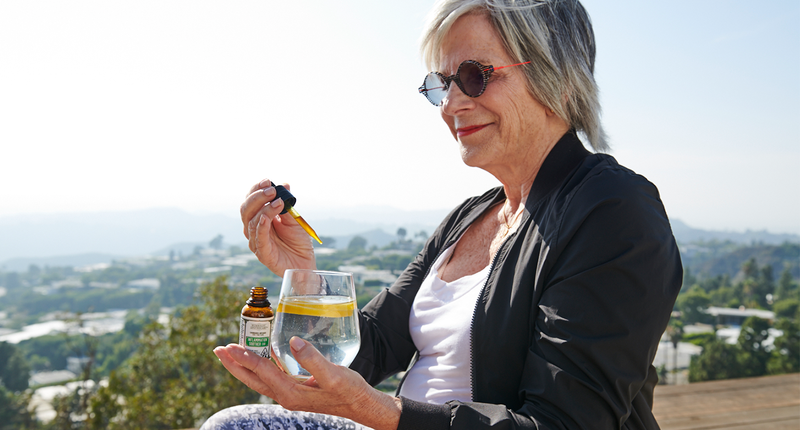 Research has shown that CBD oil interacts with a receptor called 5-HT1A, which is responsible for releases serotonin, the neurotransmitter that is responsible for that feel-good feeling. When CBD interacts with 5-HT1A, it works to make it fire more effectively and therefore leads to an increase in serotonin production and much more stable amount in your body. Serotonin is actually responsible for many components of our daily lives. It impacts motor skills and emotions and also works as a mood stabilizer that aids in sleeping, eating, and digestion. It’s a vital part of out entire well-being. While there are numerous takes in terms of what causes depression, having low levels of serotonin production are a known factor in the onset or continuation of depression. Not only can CBD oil up your serotonin levels, it also works in the hippocampus, which is a part of the brain that impacts the limbic system—a system of nerves in our brain that work to control the whole gamut emotions. Studies have shown that the hippocampus becomes smaller for those suffering from depression. That’s when CBD oil comes in. Working to stimulate neurogenesis, CBD oil aids in the process in which the brain creates new neurons. A recent study conducted at Washington State University found compelling connections between managing depression and cannabis. They studied thousands of medical marijuana users, all of which used a data collection app that allowed users to rate their physical and mental states before and after smoking. They would include the amount of puffs taken in and the dosage. According to the study, symptom ratings of depression were reduced in 89.3% of the sessions, increased in 3.2%, no change in 7.5%. And while the study focused on more than just CBD oil, the general findings around CBD specifically are incredibly interesting. The analysis around the dosage found that depression symptoms decreased with high CBD strains after just one single inhale and exhale. It’s fascinating research that may lead to incredible changes in the mental health landscape. For those looking to enter the CBD oil game, head on over the one of the MedMen shops. Some of our favorites include Papa & Barkley Releaf Tinctures, which have a 30:1 ratio of CBD:THC. Therapy Tonics & Provisions also have a plethora of tinctures that help to boost mood, relax, and energize. But remember: every person’s mental health journey is unique. CBD oil may offer up small or large changes in mood or symptoms of depression, and may even be a great alternative to antidepressants for some and not for others, so be sure to consult your doctor before making any changes to your mental health approach.